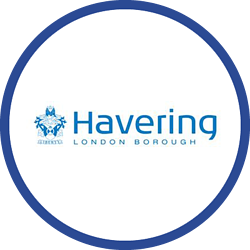 Havering London Borough Council is the local authority for the London borough of Havering, one of 32 borough councils in Greater London, England. The council employs civil enforcement officers to enforce parking, traffic and other restrictions and laws. Due to the nature of work, the council must ensure the safety of its officers and demonstrate its duty of care is being fulfilled. To achieve this, it needed a suitable and adequate solution in place. The council previously had safety measures in place which it deemed to be inadequate due to relying upon manual processes and personal alarms. This system was not addressing health and safety legislation and was no longer a suitable method of safeguarding the council’s employees in the event of an emergency. The council therefore decided to implement a new lone worker solution, they required a smartphone application for greater location accuracy and practicality; such a system would also eradicate the need for any additional dedicated devices, such as lanyards. Following intensive research of the various lone worker solutions available, the council made the decision to implement Crystal Ball’s MobileLWP with MobileRescue and MobileTrack Lite in 2014. The council’s selection was primarily based on the solution being an easy-to-use and convenient smartphone application with the ability to implement various other solutions on the same platform. With MobileLWP in place the council can now effectively safeguard its officers through the extensive functionality available, including automated and manual panic alarms, routine welfare checks and much more. The officers now check-in to a welfare session using their smartphone when they need to and respond to a countdown timer when the session is set to expire. If an officer fails to respond when prompted by the handset, an automated alarm will be raised. With MobileRescue the council has direct access to the UK’s leading BS5979 CAT II certified Alarm Receiving Centre, staffed with highly trained operators who deal with emergency calls. MobileRescue also offers access to the ARC’s event call recordings which are admissible in court if required. MobileTrack Lite now allows management to monitor the location of the officers in real time using the smartphones’ integrated GPS technology. This provides regular location updates and offers visibility of employee movements, even when workers are not in a vehicle and are conducting work on foot. With Crystal Ball in place, the council’s civil enforcement department can now effectively safeguard its officers and ensure 100% compliance with health and safety legislation. "We required a smartphone application for convenience and location accuracy and Crystal Ball fitted the bill."